The last period in which we count backwards. 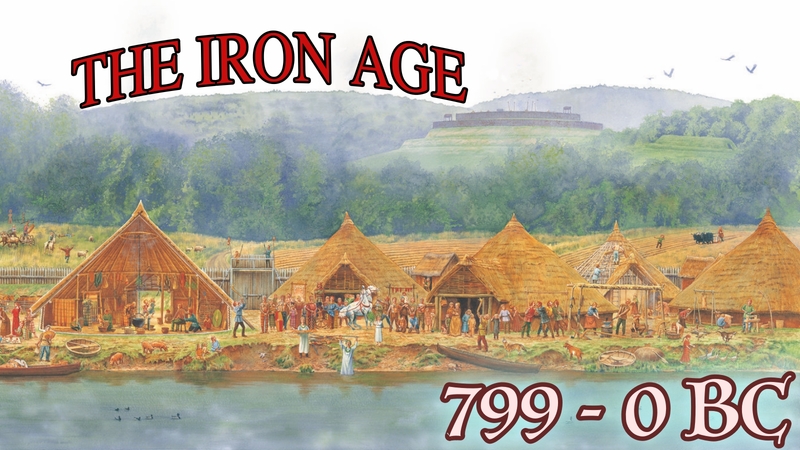 Once again those historians have hit the nail on the head (think about it) and called it the Iron Age because people in England started to make things out of iron. People also became more tribal, more aggressive, and valued possessions even more. But the writing was on the wall in 55BC, or at least on a wax tablet. At the start of this period of history, the estimated population of England (to the nearest ten thousand) was 800,000 or 200,000 houses on our strange method, explained in the Mesolithic Age introduction.